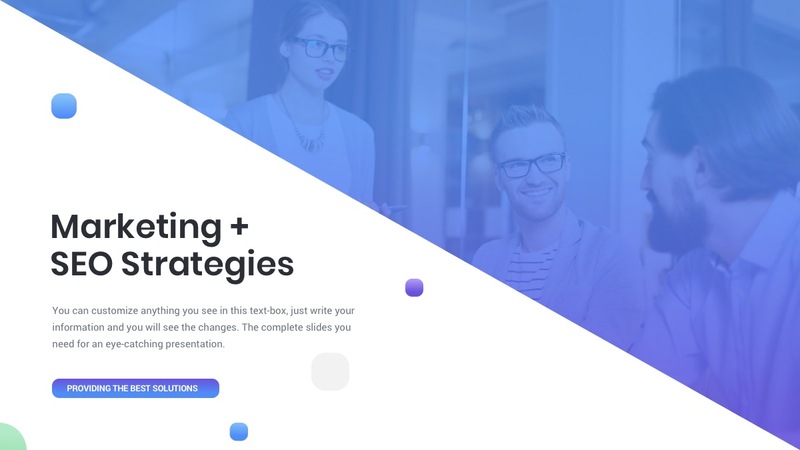 If you are looking for a fresh, modern, and gradient Powerpoint template, then the perfect presentation template for you is Noor. Since this presentation template is based on a Master Slide, you can save your self a lot of time. In addition, you can match your theme or company’s color. You don’t have to be an expert at creating Powerpoint presentations, because Noor is easy to edit and you are provided with Ninja Support if you have any trouble or need some assistance. In addition, you have an unlimited amount of ways to present your work in very visually appealing ways. So, this template provides you with many different elements to use: About Us, Meet the Team, Our Services, Infographics, Our Portfolio, and many more. If you have data to present, then use one of the varieties of infographics provided to visually represent your data to make it more clear and understanding. Furthermore, some infographics include Powerpoint maps, bar graphs, cycle diagrams, line graphs, pie charts, and other different ways to present statistics and processing information. Also, you can show prices, demographics, give quotes, add images, and just show what you and your company are capable of doing. 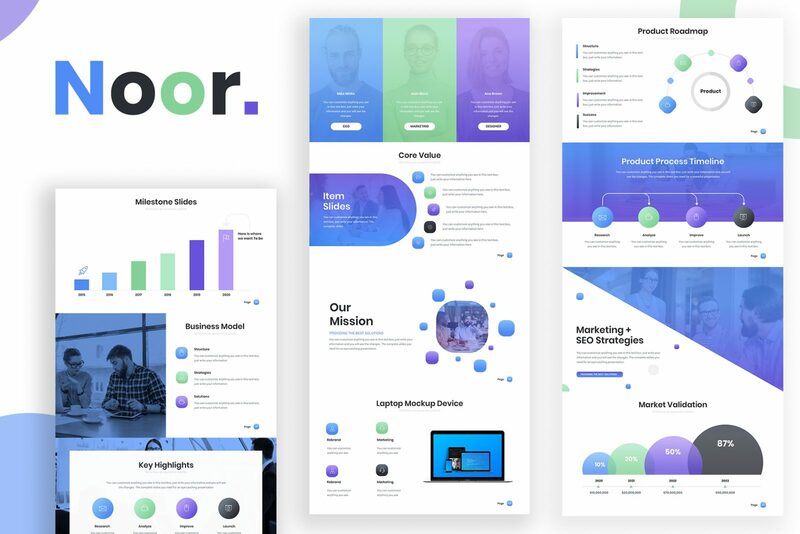 Noor gradient PPT template provides you with more than 140+ slides for you to edit and create an outstanding presentation.